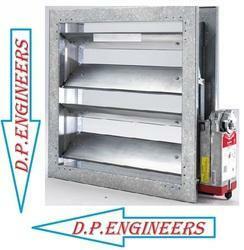 Air Distribution Products – HVAC Grilles D. P. Engineers is the company promoted in India by the Executives having a combined experience of more than 15 years in the filter & Air Conditioning related industry. 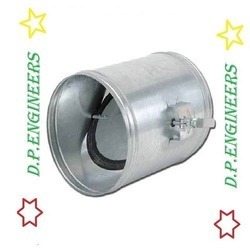 Our organization has successfully expanded its business in market owing to the offered elevated quality array of GI Duct Damper. The offered damper is manufactured with the help of high class material and latest technology as per the set industry standards. 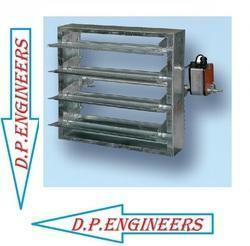 Offered damper is widely used in various industries for different purposes. 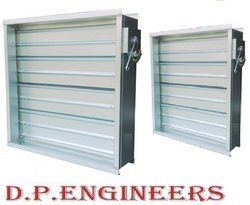 Clients can avail offered damper from us as per their requisites at affordable rate in bulk quantity within stipulated time-frame. GI Sheet construction fire dampers with flat V type blade operation, 16 swg G.I. blade 150 mm wide, 16 swg G.I. frame 165 mm wide, chrome plated spindle, self lubricating bronze bushes, blade. Linkage fully enclosed, stainless steel side seal gaskets on the sides. Robust & fully welded construction. Fully enclosed blade linkage mechanism. Stainless steel side seal gaskets. Self lubricating sintered bronze bushes. Control Options – Fusible link and electric actuators. Leveraging on our enormous industrial development and associate of the up-to-date market progression, we bring forward an all-embracing gamut of Air Handling Unit Filter. So as preserve their optimal quality, we acquire finest-quality basic material from only steady and qualified vendors of the market. Along with this, our facility of providing these filters as per our patrons’ request makes us a favored choice of our patrons.